Typical small town, perhaps a few thousand people with 3 or 4 huge (and beautiful) churches like this! 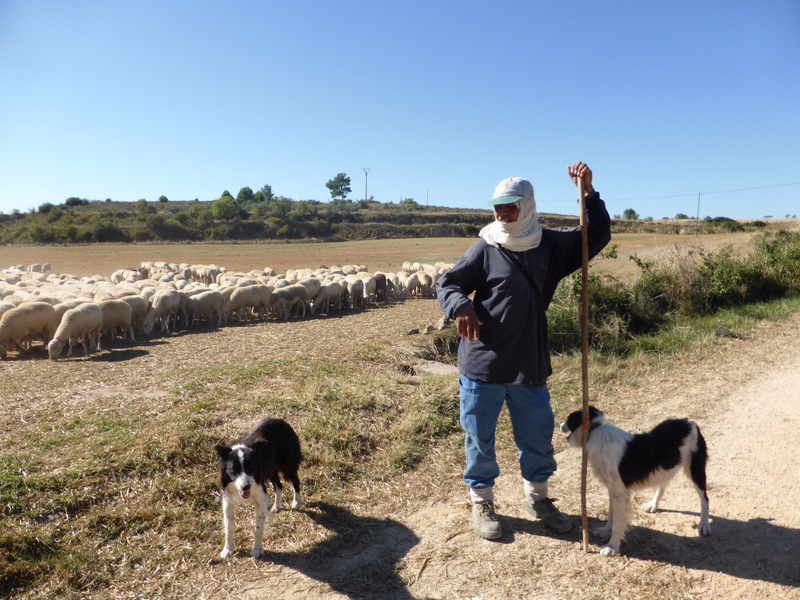 A sheep herder and his two working dogs – took bus to get to his herd. He also spoke four languages! An idea of the slope of some areas. This would be really difficult in the rain! As we were in no condition to do any sightseeing we did not visit many of the buildings of Los Arcos. 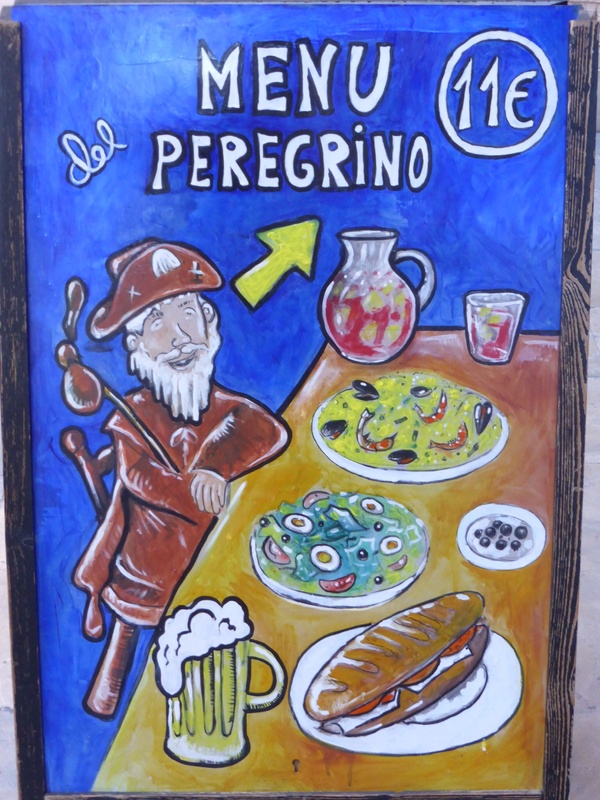 What we did learn is that it is another village of the Navarre region built in the Middle Ages for the pilgrims to Santiago de Compostele. The town name refers to the prowess of its archers. The capability to defend itself was important as Los Arcos is described as a “frontier town” of those days. It is now a quiet hilltop retreat. 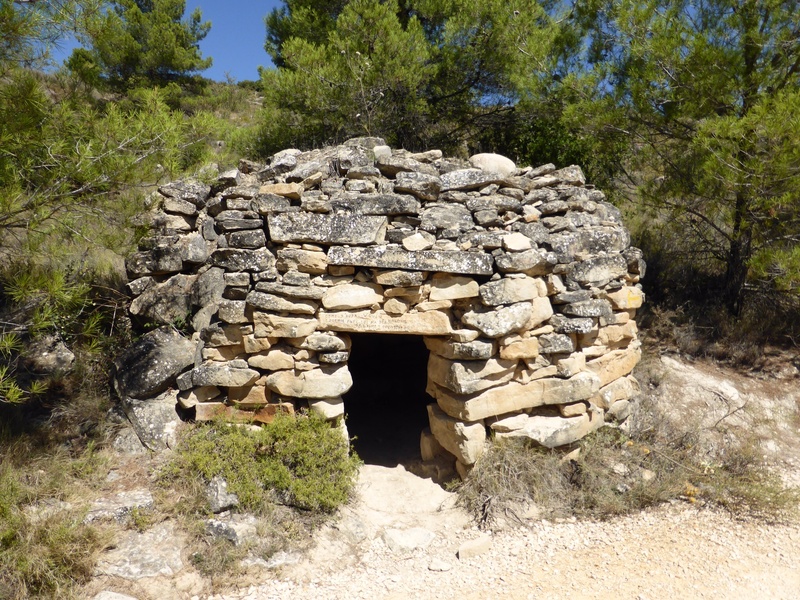 The walk for today was described as “hilly with many ups and downs—harder than it appears on the map”. 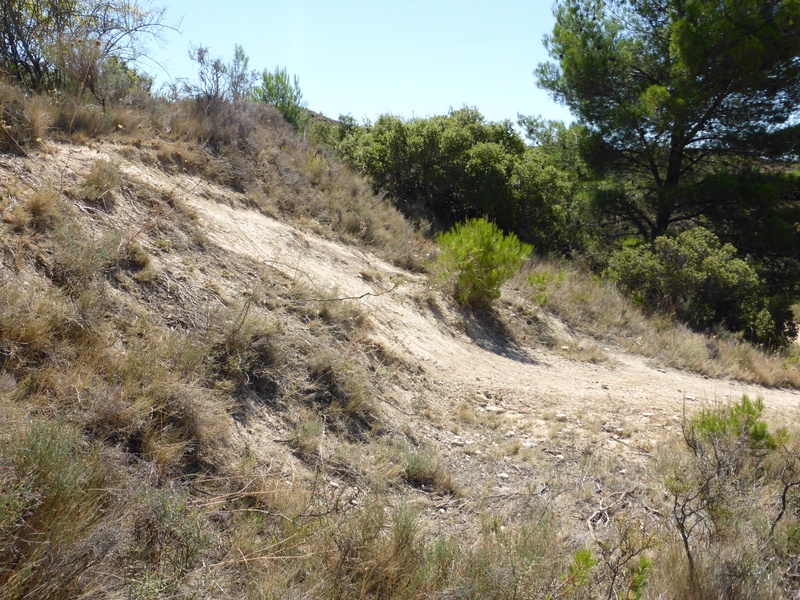 The first 14 km were a series of deep ravines with an occasional hill. 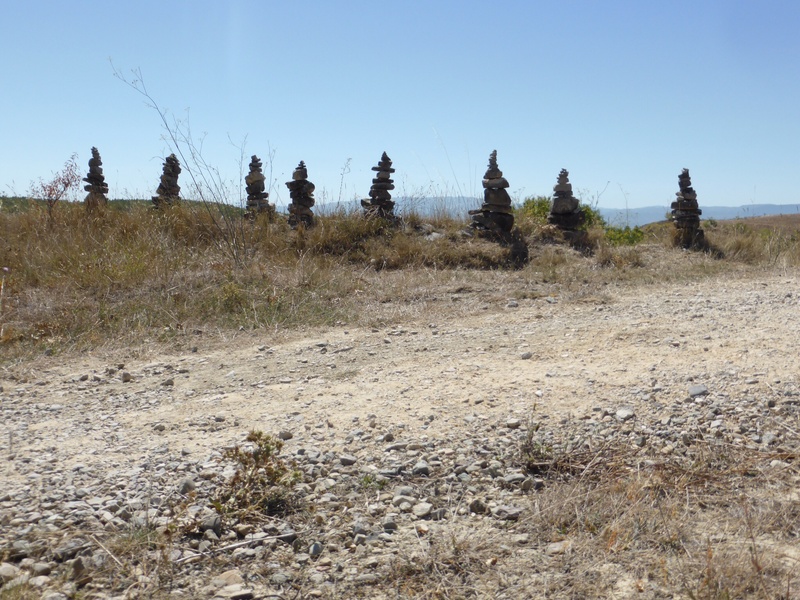 We were relieved to finally reach some gravel road with Viana in sight. Fortunately the day was made more comfortable by a cooling breeze. 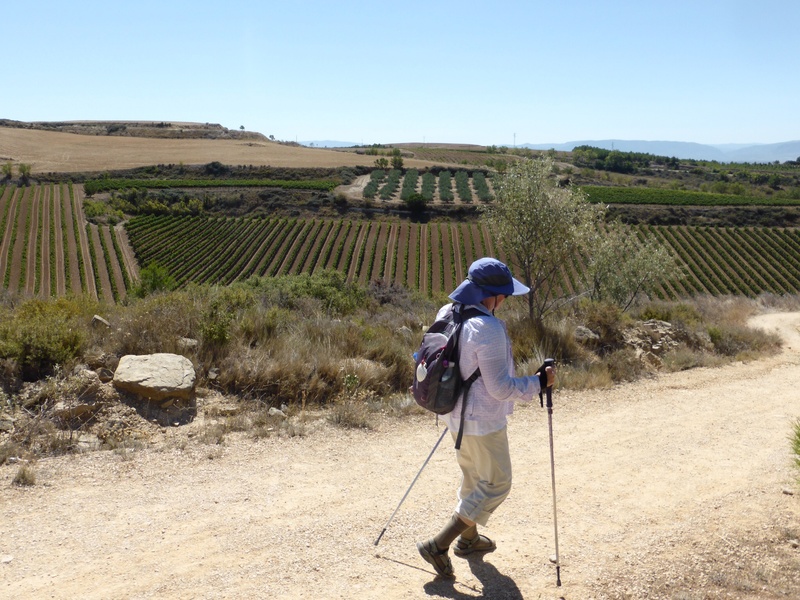 Also, walking alongside olive groves, vineyards and farmland is very peaceful. 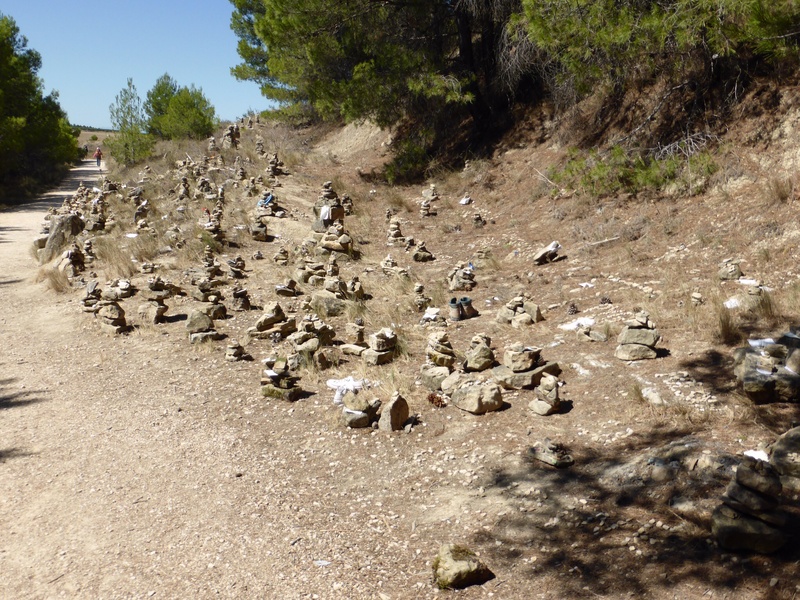 A young teacher from England shared some of the walk with us. He was good company. 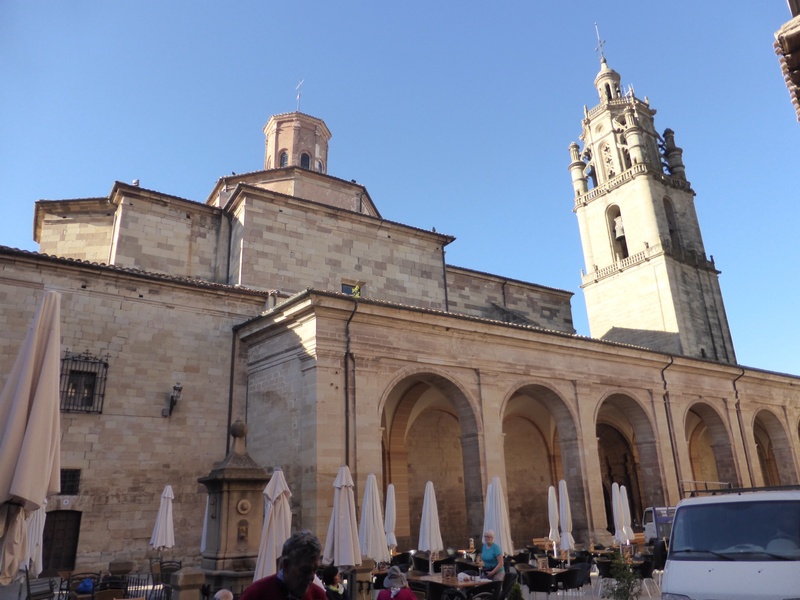 Viana is another pilgrim town built by King Sancho and the last in the Navarre region. St. Mary Magdalena ( Mutti’s name saint) is the patron saint of Viana. She stopped the Black Plague here so is celebrated every July 22 with a festival. Our hotel Palacio de Pujadas was once a family palace. It exhibits many artifacts from centuries ago, including the family confessional. The artifact we were most happy to see was a tub. Soaking our tired feet is a joy. After this pilgrimage we will never again take our feet for granted. Sore feet are the bane of most pilgrims. It hurts to see them hobbling along. Discarded hiking boots along the way are a testament to their pain. So far our feet are holding up. We are very careful to carry a change of footwear in our packs in case a “hot spot”develops. Also, we are pretty adept with moleskin now. This a miraculous product!